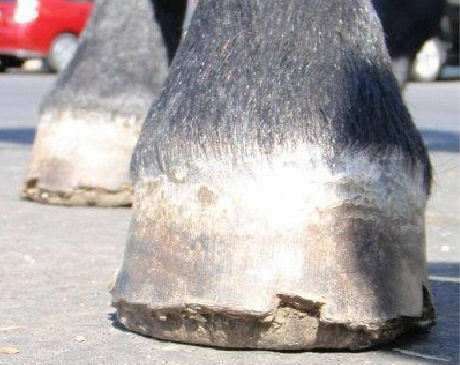 Hoof Wall Separation Disease (HWSD) of Connemara ponies is a genetic condition which causes defects in the horn of the dorsal hoof wall. It can affect pure-bred and cross-bred Connemaras ponies. Issues have arisen during pre-purchase examinations where affected horses have not been identified. The clinical appearance can vary from mildly affected to very severe, however the disease appears progressive in most cases and therefore knowledge of this along with careful inspection is essential to avoid failing to identify affected horses.